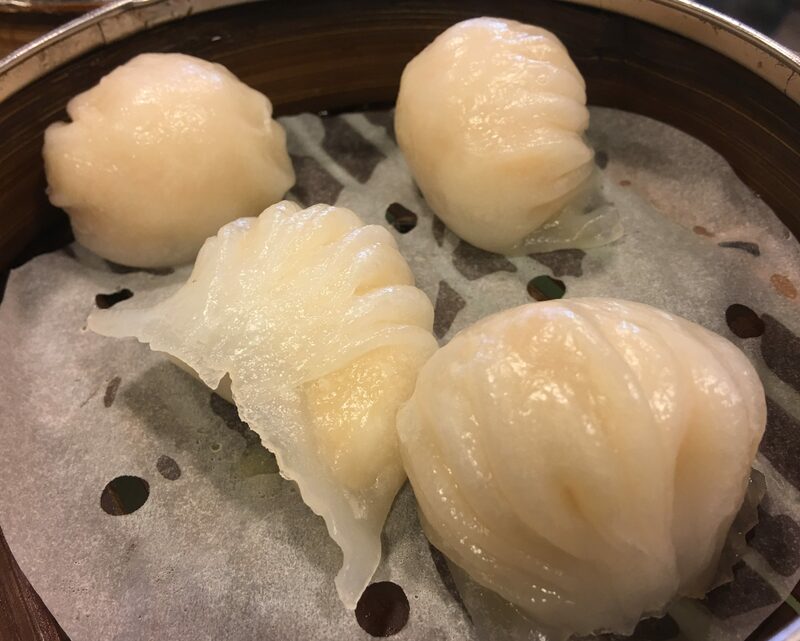 Dim Sum, I love it when I get to Hong Kong. 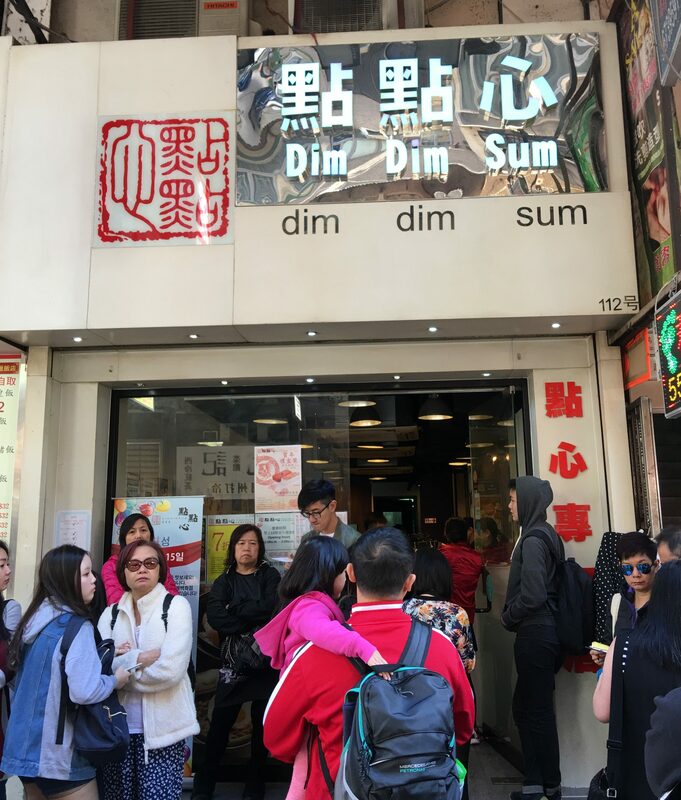 I like to try different places and this time I decided to try Dim Dim Sum in Mongkok. I had heard this place was pretty good, so let’s try! I got there at 10:55am, just before they opened and was second in queue. It’s a good thing I didn’t get there at 11:05 because the queue got long. This is what it looked like when I finished eating at 11:40am. The inside is quite small, seats about 30 total. So it was pretty full upon the first 5 minutes of opening. Some accolades. 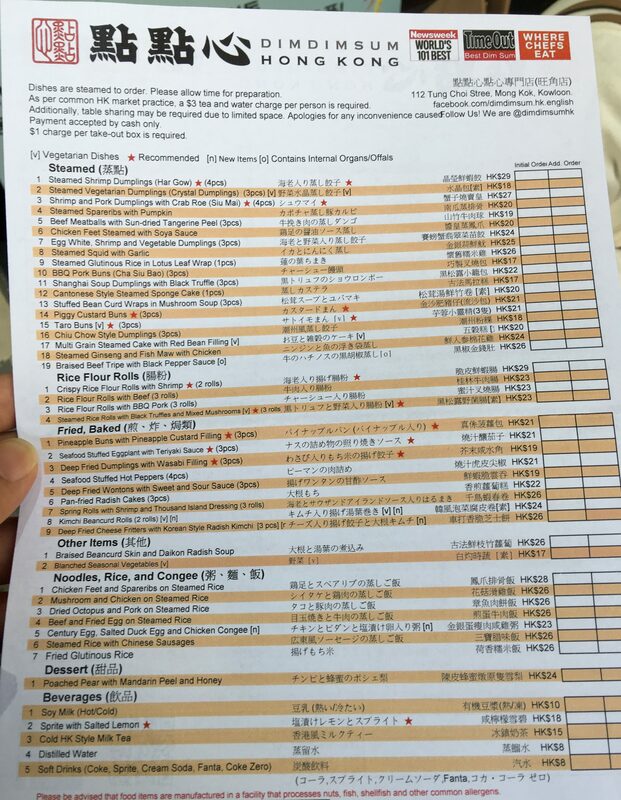 Here is the english ordering menu. They have it in Chinese too, by itself, but this makes things a little easier at times. 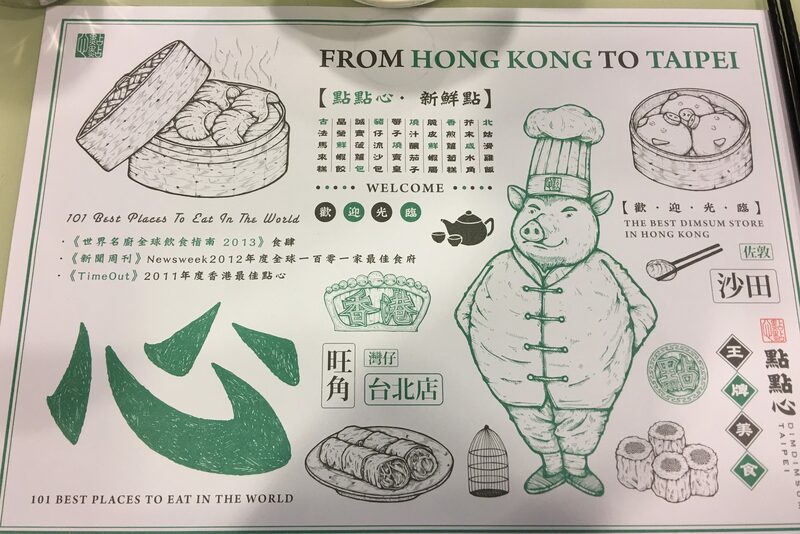 Quite a nice selection of things, and things are steamed fresh when you order it. 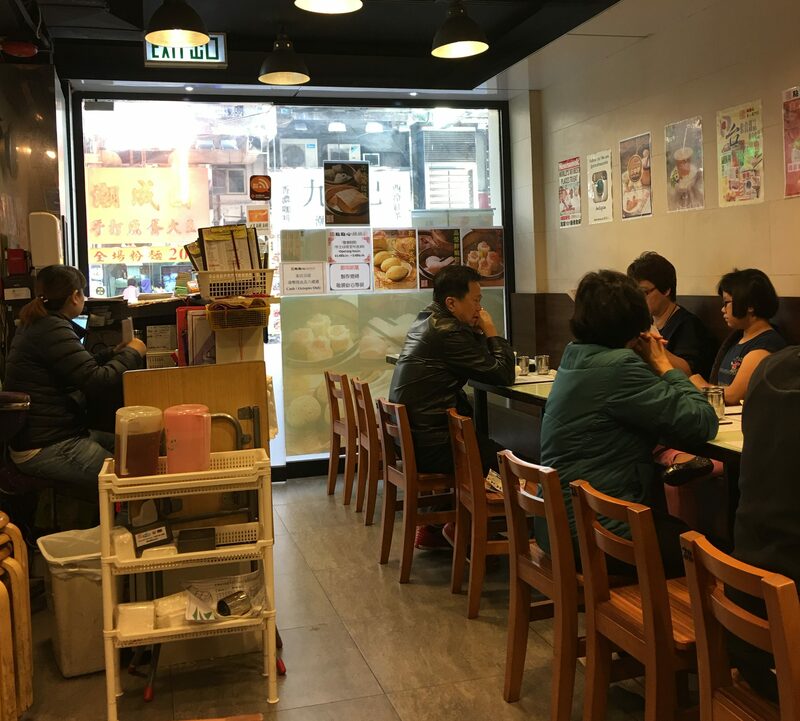 You know my standard, you have to have good Har Gow and Siew Mai in order to be a good Dim Sum place. This place has great Har Gow! Not too thin on the skin, plenty of prawn and just delicious! 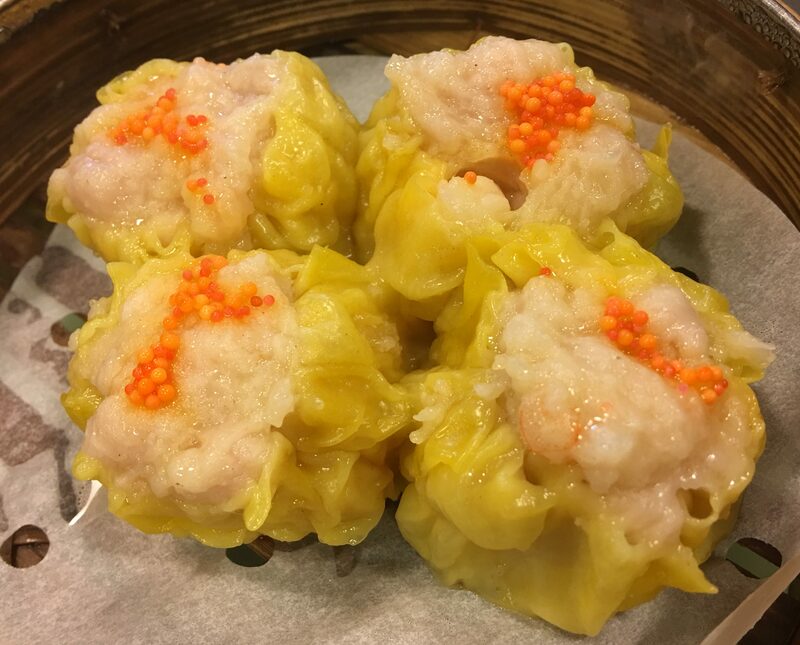 And the Siew Mai is also awesome. The pork is minced and molded so smoothly. I usually always go for the Rice Flour Rolls too. Because the way they handle the flour is key to a good dim sum place. 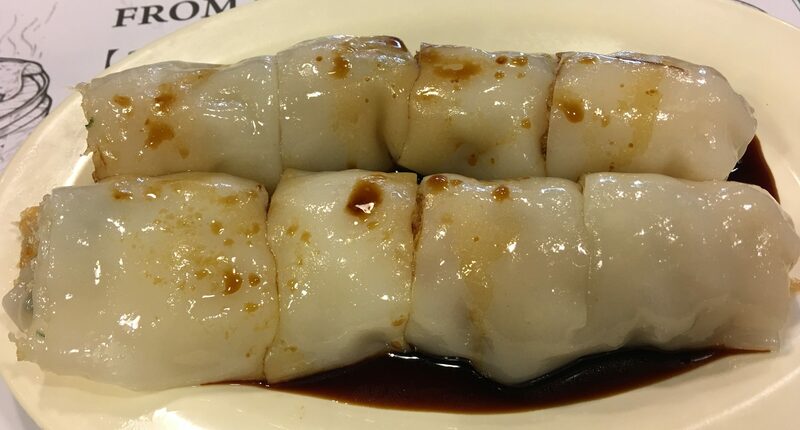 Dim Dim Sum has a Crispy Prawn Rice Roll. Smooth, delicate, not too thick Rice Flour. Perfect! And since I am not a huge eater, I usually go with one dish that I want to try. 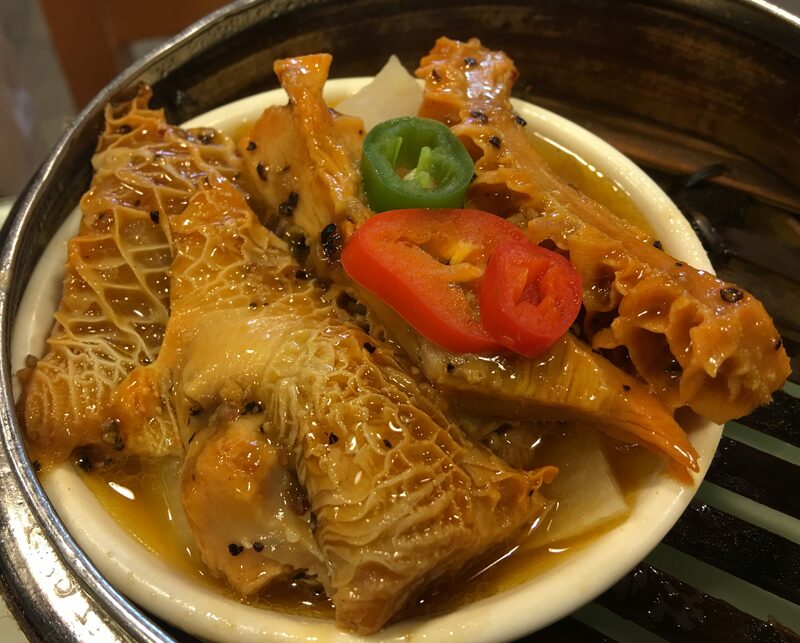 Beef Tripe this time. Tender, marinated beautifully and the taste – just great. And of course, you go with what they are known for. 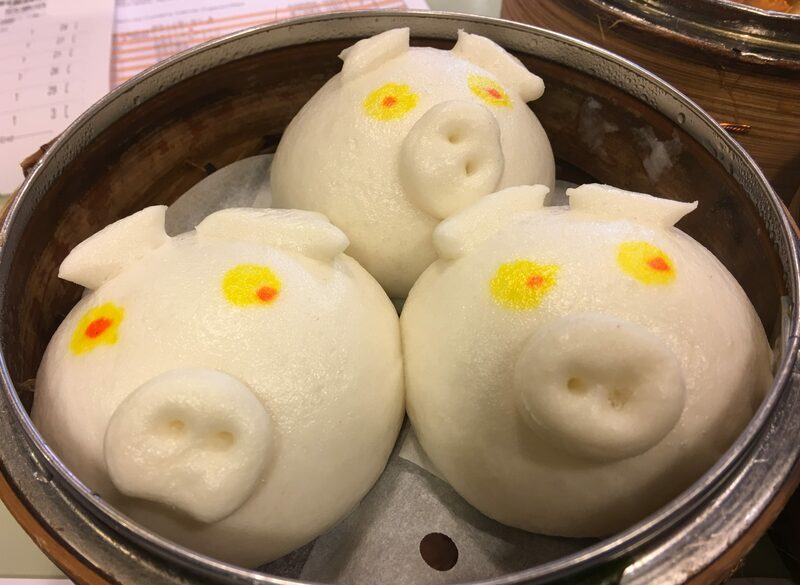 In this case, Little Piggy Salted Custard Buns. So cute and inside the Salted Egg Custard is not too runny, but also not too grainy. I need to go with more people to eat more things! This place is awesome. You need to go! Posted in Dim Sum, Hong KongTagged Dim Sum, Hong KongBookmark the permalink.